Medicine is the science and practice of the diagnosis, treatment, and prevention of disease. We have innate intelligence when it comes to our health. We are elemental beings. Let’s get back to the basics and promote health to prevent disease.. As a team we will work together to reconstruct and redefine your health. I treat people, not disease and what’s missing in your health care plan is you. You. And you are a unique individual. The answer to your best health is already there. We will work together to re-vision, re-define and restore your health to create a balanced life. I have great compassion for issues facing modern patients. I help you take care of you. Prevention is better than cure. 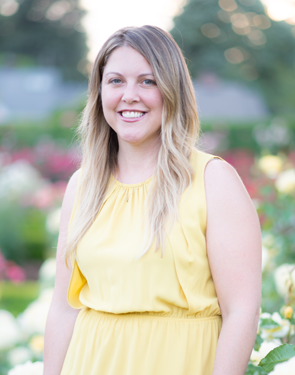 Jen combines tools from Chinese Medicine, Ayurveda, Functional Medicine and Integrative Health Coaching to help clients achieve their optimal health. By applying ancient wisdom to your modern lifestyle we uncover the root of your imbalance. It’s simply constitutional health and individualized support. It’s what you digest AND the food you eat. Jen believes in the power of food as medicine. Ancient is the new new. Digestion is key in Ayurveda and Chinese Medicine. Using tools from Ayurveda and Chinese Medicine principles we will ensure that the food you eat and how you digest it is not working against your health. Hi I’m Jen. As a licensed natural health practitioner and educator I am here to help you transform your health by using tools from ancient systems of Ayurveda and Chinese Medicine and modern system of Functional Medicine. My goal is to help you get happy by being healthy in this fast paced world. I treat people - not diseases. I have created a series of programs to do just that including but not limited to Acupuncture, one-on-one coaching, Acupuncture, corporate wellness and more. You can see them all right here. I went into labor very early that next morning after I had my appointment. Healthy labor, delivery, momma & baby! Thank you! Enter your email address below to subscribe to the Being Elemental newsletter where you’ll receive links to health news, foodie finds, freebies, and more.